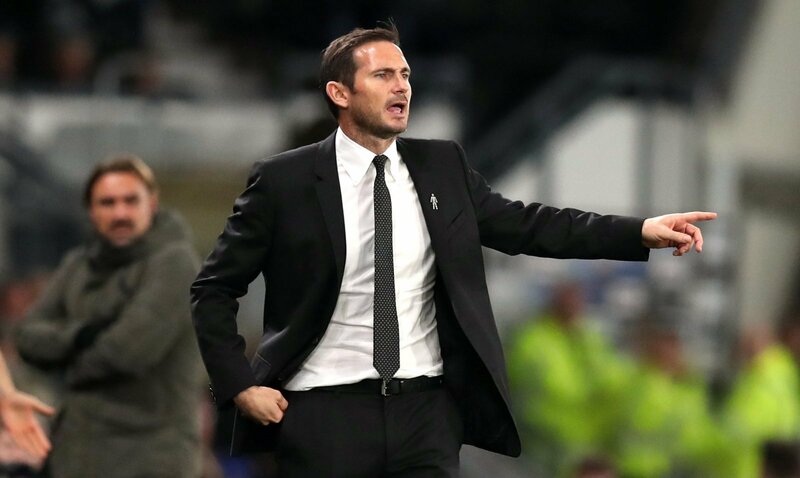 Frank Lampard insists his only focus is on Derby County even though he is the favourite to replace Maurizio Sarri at Chelsea. The Italian is under serious pressure after the Londoners suffered their heaviest ever Premier League defeat when they went down 6-0 to Manchester City yesterday. That has followed several poor results and performances, with the Blues losing 4-0 to Bournemouth at the end of January as well. Therefore, Sarri is clinging on to his job and Chelsea legend Lampard was touted as a potential replacement if the ex-Napoli boss left. But, Lampard told Derbyshire Live that he doesn’t pay much attention to the odds and explained how he is only concerned about the Rams. “Bookmakers are not always right for starters, so I wouldn’t get excited about that. Chelsea are certainly a club I respect, and have a manager I respect. This is the 40-year-old’s first job in management and Derby are currently outside the play-offs on goal difference. This is the standard, professional answer from a manager when they are linked with another job but Lampard will only be concentrating on Derby. He is an obvious name to be linked to the job but until Sarri is sacked it’s not really a story. In the meantime, he has some huge games coming up as he looks to win promotion with Derby, so this is the right attitude and response from the boss.